Hinatuan Enchanted River, The Flight. Who said that flying is just for airplanes? Not in Hinatuan River, Barangay Cambatong, Surigao del Sur. 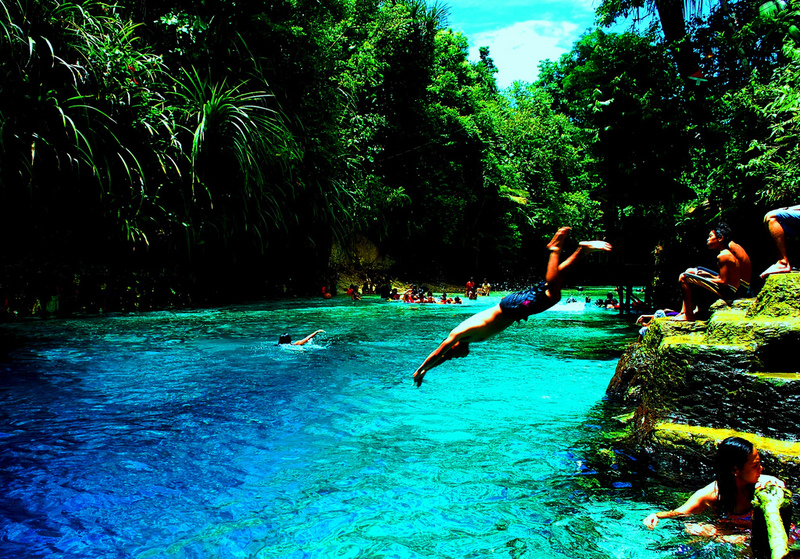 Anyone could take flight and eventually splash in the magical waters of Hinatuan Enchanted River. The Enchanted River is like a Monét painting. What makes it more bewitching is the element of dread attached to stunning visuals. For the brave-hearted, it’s plunging into the abyss that makes the river a surreal experience. And one wouldn’t know the feeling until he gives it a try. Photographer: jojoscope licensed under creative commons via flickr.